What are you drinking before and during your workout? 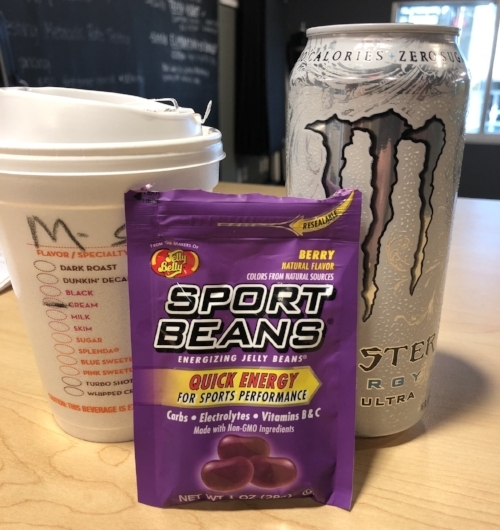 Most of the items pictured have caffeine and carbs, both of which are helpful, but lack other key ingredients and fail to deliver the benefits you can get from a good supplement routine. 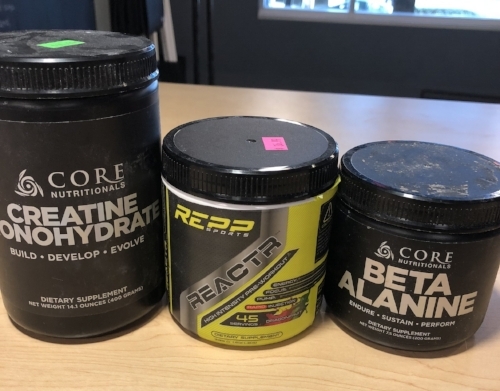 Without digging too deep into the science here are our recommendations for pre-workout and intra-workout supplements. Can be found already packaged as a “pre-workout” blend usually containing caffeine or can be a mix of the items below mixed together. Increases physical performance in high intensity exercises done in less than 60 seconds and can aid lean-muscle gain. Increases physical performance in the 60–240-second range and can aid lean-muscle gain. Stimulant that can be used to improve endurance and provide mental stimulation. Can be found in coffee, energy drinks, tea or pill form. Promotes recovery, minimizes muscle breakdown and can enhance strength endurance/decrease fatigue. Look for an established ratio (2:1:1) of leucine, isoleucine and valine. Can reduce mental fatigue and muscle breakdown along with providing energy for long, intense workouts. Look for brands using Branched Chain Cyclic/Cluster Dextrin like Gaspari Glycofuse. Training Designed for a Stronger YOU! Bodymass Gym is not like your cookie-cutter, over-crowded group exercise classes. With no more than 10 individuals in a class, we pride ourselves on delivering results, progressive programming and individualized coaching. 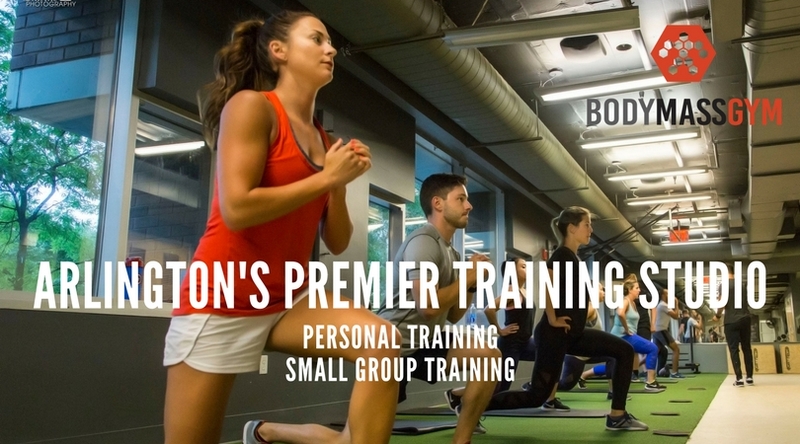 All of our classes incorporate the principles of traditional strength training, focusing on correcting form, and practicing functional movements. Training designed for a stronger YOU! Another main focus at Bodymass Gym is educating our members on the importance of proper nutrition and supplementation before, during and after their workouts. Without incorporating this component, optimal results are more difficult to achieve. Whether you are familiar with strength training, or have never touched a dumbbell in your life, at Bodymass Gym you are welcome in our doors. We look forward to helping each individual that steps into the gym accomplish their goals, whatever they may be!